Even though very few people in the world have seen the 2015 Ford Mustang, there are a great many skeptics chattering online about how they hate the look and they will never buy a Mustang that “looks like that” but realistically – Ford shouldn’t and probably doesn’t care about the negative comments posted online for a variety of reasons. It seems like every day, I come across another person online posting about how he or she hates the look of the 2015 Ford Mustang. Mind you, we haven’t seen pictures of the 2015 Mustang and to date, all we have is spy shots and renderings on which to base our opinions (along with one very nondescript teaser). 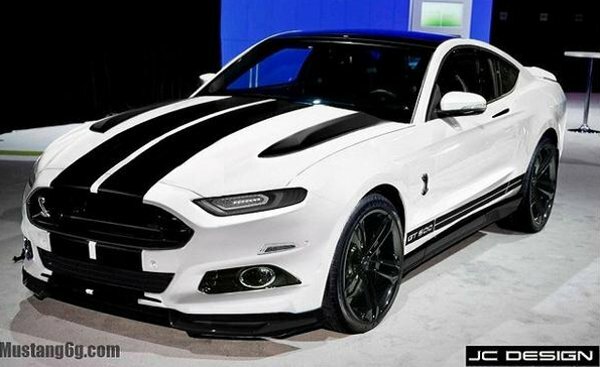 Those non-official images of the next generation Mustang show a model that wears the Evos design language and quite a few people have posted passionately negative remarks about their distaste for the 2015 Mustang. Unfortunately for those making the negative comments, Ford really doesn’t have anything to worry about. This isn’t some new model that we are talking about which has to prove itself – this is the Mustang. The Motor Company could put the front end of the Super Duty on a Mustang and so long as it delivered all of the performance attributes that a modern Mustang buyer expects…it will sell like hot cakes. If you are among that small group who hates the 2015 Ford Mustang (even though you haven’t actually seen it yet) and you are wondering what makes me so sure that this Evos design language Mustang will sell so well…I’d like to present a few examples from the past. -When Ford Motor Company introduced the Mustang II back in 1974, it was a massive departure from what America had come to know of the Mustang name since its introduction 9 years earlier. It was small, kind of funky looking and it lacked the performance of the previous models. There was no convertible package and there wasn’t even a V8 engine option for the 1974 Mustang and Ford still sold right around 386,000 units that year – which was a massive increase over the 135,000 1973 Mustangs sold when there was a convertible and “proper” V8 engines. -Much more recently, Ford introduced the S197 platform with a sharp retro design that resonated very, very well with many buyers and the basic design scheme of the 2005 Mustang has lasted through the 2014 model year with strong sales each and every year…even with the return of the Chevrolet Camaro in 2010. When the 2005 Mustang was introduced, there was a huge number of people in the Mustang community who absolutely hated everything about the design. It was so bad that on some enthusiast forums, there were regular “fights” between the people who purchased the 2005 Mustang and those who hated it. Needless to say, the negative chatter on what we know as the current Mustang faded quickly and it had no real impact on sales. -When the powerful EcoBoost V6 was introduced for the Ford F150 as a premium engine option, long time truck owners freaked out. Naysayers went on about how no twin turbo V6 could do the work of a proper V8 and introducing the EcoBoost V6 would drive buyers to other brands. Turns out that America loves the EcoBoost so much that this powerful yet efficient engine quickly became the most popular option in the F150 lineup – while helping Ford to move record numbers of F Series pickups. But wait…there are more examples outside of the Ford lineup. -When the current Dodge Charger was introduced for the 2006 model year as a full sized sedan, the Mopar community was in an uproar. People who had owned many Chrysler Group vehicles proclaimed that they would never again buy from this company and that the Charger was sure to fail. Turns out that America loves the new Charger and it quickly became one of the bestselling vehicles in the Chrysler Group lineup. -How about the unusually designed new Jeep Cherokee? Since being introduced with a front end look that was completely unlike anything that we have ever seen on a Jeep, there have been plenty of people who hate the design. November 2013 was its first full month of sales and even with all of the delays and negative press, the new Cherokee still moved almost 11,000 units last month. That figure makes it one of the bestselling SUVs on the market as the Cherokee very comfortably beat the Ford Edge (one of its main competitors) in monthly sales. The reality of the auto industry is that even when it seems that a whole bunch of people absolutely hate a given vehicle – even a brand new, totally unproven vehicle (or engine) – there are still countless people who love the vehicle for the same reasons that make others dislike it. When you consider that and add to it the simple fact that the Ford Mustang has been one of the most desired cars in American for almost 50 years now, there is a pretty good chance that the company won’t have any problem selling as many as they can build in the early going followed by the same steady success that the Mustang has displayed going on five decades now. Ultimately, I find that the people who hate the 2015 Ford Mustang would have disliked anything that wasn’t what they were already familiar with as they don’t hate the new Mustang – they hate change. I know this and Ford knows this so those people who spout off about how much they love their 1996 Mustang and how they will never buy the new one…keep on complaining online. It only fuels the enthusiast displayed by those who understand the need for change and who appreciate what looks like it will be a great looking 2015 Ford Mustang. Look on the bright side...at least it isnt a Mustang wagon. By the way, the 2015 Ford Mustang is scheduled to debut around the world in just under 2 days so in roughly 45 hours or so (based on the time that this piece went live), we will know exactly what the next generation of the Ford Mustang has in store for the automotive world. At least at that point, the critics will actually know what the car looks like before spouting off how much they hate it. You're right. People hate change. But Ford isn't selling to them. It's selling to people who like change and want all of their friends to know they're driving the new Mustang. Have to admit, I have been guilty of the general theme in the past. In all seriousness, now I try to find the good in all cars (or trucks, or whatever). Sometimes it is hard to find. Yes, the new Mustang will be the huge success it has always been. Some of the naysayers will be surprised by good it looks in person as it is smaller. You left out the 1958 Thunderbird uproar over it changing to a 4 seater. But it sold twice as many as the '57 Thunderbird. Beauty is in the eye of the beholder. The people that do not like the design are just not into the whole thing or don't know much as far as I am concerned. I got goosebumps seeing it. Love the Mustang. The '67 Shelby is my dreamcar, but this will definitely do. Beautiful car. I can't wait to see one in person. The newer challengers even made drool...awe the beauty of the muscle cars. Just don't like the fact they made the Charger a 4 door. Awesome!! I really like the new design! All new with just a touch of retro out back.. I was afraid it was gonna look like an Audi or some other import!! But, no doubt that all American!! Now I just gotta see the new F-150!!!!!! Know your customer. People that have and will buy Mustangs could care less what germans drive. Their eyes glaze over at comparisons between rough around the edges american muscle and gentrified naziboxes. Alienate the people that might actually purchase your product in an attempt to please those that never will. What a business model.